I watched tonight's AAF game on CBS between the Fleet and Commanders. There was some positives and negatives. As a die hard football fan. I am happy to see these players get a chance. No matter how good or bad, an alternate league is. There will be players who shine and get another chance in the NFL. Wide Receiver Greg Ward Jr for San Antonio really stood out to me. The former U of H QB had an impressive night. He can only get better. There is upside with him. These types of leagues are about players like him. He would never get this kind of chance anywhere else. It's too bad, he can't return kickoffs in this league. The new camera view way up above was cool. They referred it as wheels late in the broadcast. It's not much different from the revolutionary original XFL Sky Cam, but I liked the viewpoint. The presentation was fine. There were some audio hiccups throughout the night, specifically on the sidelines, but for a first time league. They did a decent job. Avoiding major technical flaws is a victory. Having an NFL broadcast partner in CBS helps. Smart choice having San Antonio as the main game nationally in the league's only CBS network regular season broadcast. The entire top of the building was tarped off. There were some empty seats even on the 50 yard line side, but it looked like anywhere from 20 to 30,000 were at the game. Not bad. I know that wasn't the case at the other game between Orlando and Atlanta. Texas is a great football market. The home team won, even though it was in ugly fashion. So maybe that will keep the locals interested for now. The loudest cheer of the night was for David Robinson, who showed up on screen, he got cheered loudly while an offensive play was taking place. The game ran a little over 2 and half hours. The 35 second play clock was a non factor. The lack of commercials made it easy for the game to finish under 3 hours. Although it never really felt like a fast paced game. There were not a lot of injuries, which typically slow games down. The Sky judge idea borrowed from Oliver Luck and the XFL worked out ok. It's a great idea and should be used moving forward. I even liked the audio access to this. This was well done. I found myself underwhelmed by the overall play and presentation. It felt like a preseason game. Like everyone was ironing out the kinks. From the players to the refs, to even the broadcasters. Nothing about the league felt major. The energy in San Antonio was ok but there was nothing about the style of play that stood out as fun or new. That's a big challenge for these types of leagues. Finding a way to feel exciting and new, standing out from the NFL, without coming off as gimmicky. How you present the game and the feel of it, has to be the hook when viewers are watching players that they are mostly not familiar with. The offenses were way behind the defenses. It took 4 quarters for the games only touchdown to take place. This is to be expected in a brand new startup league, that only had teams practice for 30 days, with no minicamps. It was ugly at times. Specifically the o-line play. You could see why an illegal defensive formation rule was implemented. It's hard finding quality offensive lineman. Very difficult to find 40 quality starting lineman in an 8 team league. These teams though didn't seem to have more than 1 good lineman overall between them. Short practice time doesn't help either. Both offensive lines gave up, I believe 13 sacks total. Calling the line play subpar would be a compliment. There were a few illegal defensive formation calls. A couple that extended drives. The announcers didn't bother to break down the illegal formations. They just ignored it. They announced what the call was, but they didn't show how the defense lined up illegally. Despite rules designed to favor offense. The Quarterbacks were not very good in this game. Logan Woodside did make a couple of nice throws late but he barely completed half of his passes and was picked off twice. For San Diego, their QB play was catastrophic. Mike Martz is probably going to be looking to sign a new quarterback off the street after this game. Mike Bercovici was dreadful. He missed easy throws and made really poor decisions. Martz went as Vanilla as he could get with his play calls and his QB still struggled mightily. The poor o-line play was a factor but Bercovici's interceptions were horrendous. The biggest key in any league is the level of quarterback play. Perhaps over time, this will get better but this was as bad as it gets Saturday Night. Perhaps it will take some time getting used to, but the lack of kickoffs is a problem for me. Offenses are guaranteed poor field position to start off drives. The kick return is an exciting play. I was borderline on this but after watching some offseason all star games and watching it in play tonight. I want the kick return back. The referees missed so many calls in this game. It's to be expected because this is also preseason for the referees. As morbid as this sounds, I didn't mind them missing the helmet to helmet hit early in the game, but there were so many instances of the ball being spotted poorly, phantom calls for defensive holding etc... Mike Martz probably could have challenged 5 separate plays and won. I haven't checked fan feedback. For me personally, I was underwhelmed overall. I am rooting for this league, and I want to like it. I will attempt to keep watching because I am a fan of the concept of alternate pro leagues. My expectation level wasn't high because the league rushed into play and didn't break the bank to sign better players. There are some quality players in this league but the qb play has to get better naturally. Time may help on that end. The overall play of the league should get better over time but the quality tonight was subpar. I wish that the presentation was more innovative, and i am just not a fan of some of the league's ideas and rules. Attendance was announced as 27,857 in a barn that holds 64,000. So not exactly groundbreaking for the Apollos on opening night. The Commanders look fine for now, but what will happen to the attendance when March Madness rolls around? Opening night met my expectations for the most part. XFL 1.0's opening night was pretty good in attendance and ratings, but then week 2 came, then March Madness. Many people said they just caught it on TV and started to watch. That won't happen as much when their games aren't on national TV. As far as the AAF goes, the best it'll get for them is this weekend IMO. Also I do think they'll be back for season 2 despite any shortcomings they may have, just for the sake of trying to slow down the XFL. Not bad. In today's new ratings world. The original XFL's Million Dollar Game did at the time, a lowly 2.1 rating. Which equated to about 2.5 million viewers. By seasons end, that was a dead product in a public's eyes and the game was a blow out. The AAF got the sample number last night. The key now for them is what they draw by seasons end for their championship. They are not going to be on CBS until then. So if they can average anywhere from 500k to 1 million per game on their other networks. That might be passable. Depending on their business model. I have to agree with a lot already said in this thread. Overall I was pleasantly surprised.It felt a lot like a cross between pro and college game (I watched the San Antonio and San Diego). The San Antonio fans were AWESOME!! I really liked how the Commanders came onto the field with a live mascot and Texas flag. The uniforms were better than expected, loved the alamo on the back of the helmets. Being the loyal Californian, and pulling for the Cali team I found it hard to go all in on the "FLEET" mascot. (but the uni's were cool). There were a lot of blown calls and poor spots (as the announcers also pointed out), but I liked how they allowed the players to play and hit (in the NFL there would have been at least 3 roughing the passer calls, hands to the face and about half dozen holding calls by db's). The game was glitchy with the sound, but to be expected in the first go around. The announcers sounded like, announcers! This is the part I absolutely thought would fail. One of the guys sounded a lot like Al Michaels, and made the game seem familiar. They probably could have done without Kurt Warner. I thought he seemed rehearsed, and in-different (the camera caught him on his phone between plays). I liked how they handled the challenge flag. Allowing the viewer into discussion with the upstairs official (vs meandering conversation with the commentators). I hope the XFL picks this up. Overall I'm excited for Spring Football! (Football without the distractions of the 3 Holidays, and competition with High School Football, College Football). Good points. 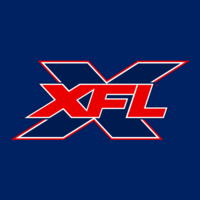 The XFL already announced weeks ago that they would be using a “sky judge”. The video official is a great idea. Like you've said, opening night is supposed to be the best. What happens today and onward? I've heard some rumors that the Hotshots haven't sold 10k tickets and that they might give some away to fill up the stadium. I'm not going to say they are a success after opening night. XFL 1.0 had an amazing opening night too. Where did it go after that? Now I get that the modern era is different, but people are already crowning the AAF winners of the battle for spring football. It's a long season, I'm going to wait until it's over before I make any evaluation. The officials uniform makes it look like they all have big bellies . Or they are wearing a black shirt that is a few sizes too small over there traditional shirt. Fashion failure.